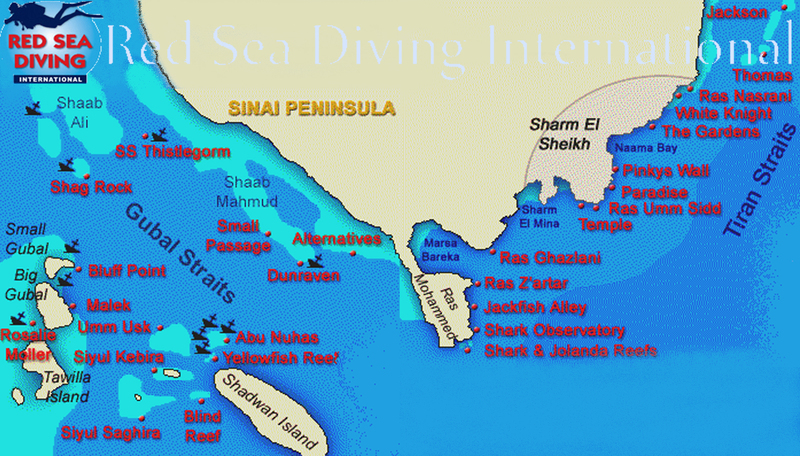 The towns of Sharm el Sheikh and Hurghada are major ports for some of the best liveaboard diving in the world. From Sharm el Sheikh liveaboard routes include Tiran, Ras Mohamed, Sha'ab Mahmud, plus Sha'ab Ali and Abu Nuhas in the Strait of Gubal, offering a variety of wrecks and reefs. 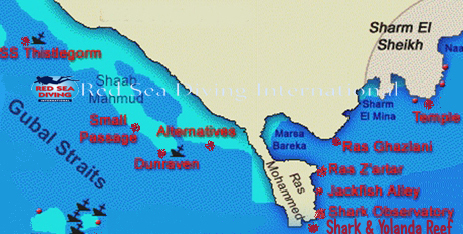 Diving Areas: Sharm Coast, Tiran, Ras Mohamed National Park, Sha'ab Mahmoud, Sha'ab Ali, and Abu Nuhas. 6th day More Sha'ab Mahmoud and Ras Mohamed National Park (Shark and Yolanda Reef, Jackfish Alley, Ras Ghazlani, Ras Z'atar, Shark Observatory). 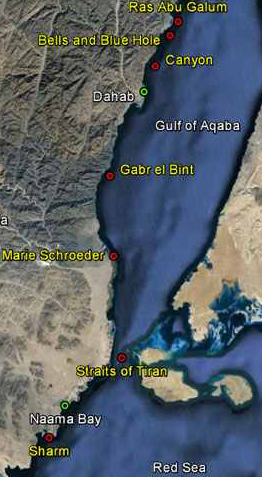 3rd day Sha'ab Ali (Thistlegorm Wreck plus Kingston Wreck and Shag Rock). This itinerarie goes inside the Straight of Tiran, and varies by the season, according to wind and weather conditions. Please contact us for more detailed information regarding your specific travel dates. 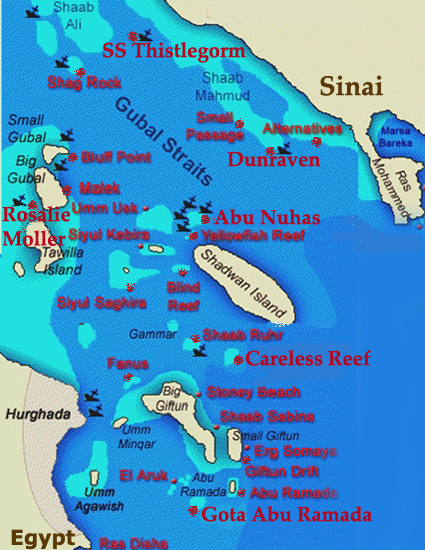 The Reef at Abu Nuhas is famous for wrecks. There are 4 wrecks here, which are today an attraction point for divers all around the world: The Carnatic, Giannis D., Chrisola K., and The Tile Wreck. Nearby is Yellow Fish Reef a sheltered place to sepnd the night and make a great night dive. The Dunraven, a steam and sail-powered vessel used to transport spices and timber, and ran aground the reef Shaab Mahmud in March 1876 during a voyage from Bombay to Newcastle and sank quickly. The ship broke in two, and her two halves came to rest on the sea floor. The wreck lies upside down with the stern at a depth of 28 m and the bow at 18 m. At the stern you find the propeller and the rudder, which are overgrown with corals. Inside the wreck you see thousands of glassfish.